Congratulations to Christina Kranz, M.S.! 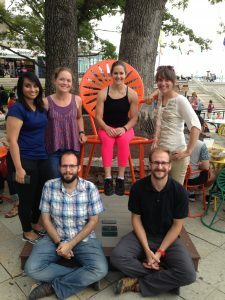 Congratulations to Christina on successfully defending her M.S. 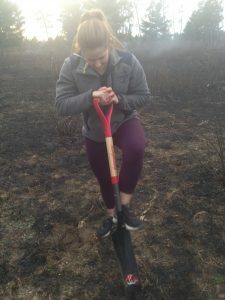 thesis, Prescribed Burning Effects on Jack Pine from High and Low Serotiny Regions: Microbial interactions and Soil Properties, this August. 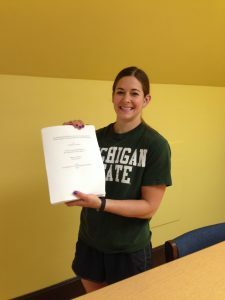 She has two papers in revision, and is now at North Carolina State for a Ph.D.. Great work, Christina! We will miss you in the lab.